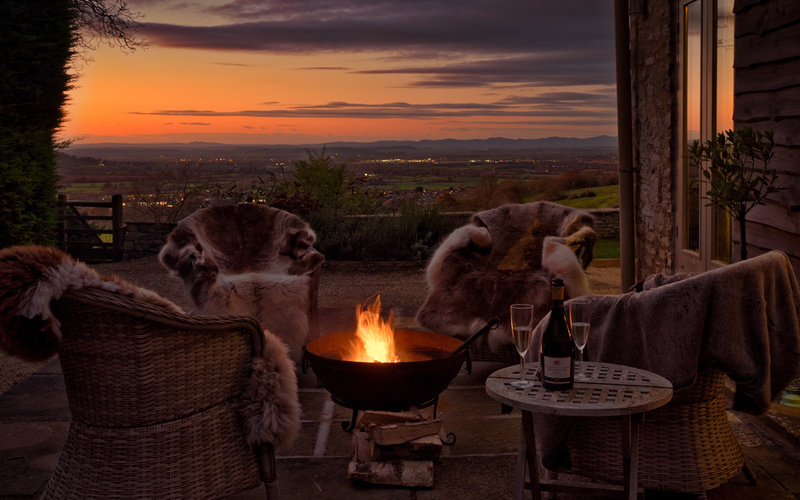 Dryhill is a discreet 17th century Cotswold retreat perched high on the escarpment in an area of Outstanding Natural Beauty. 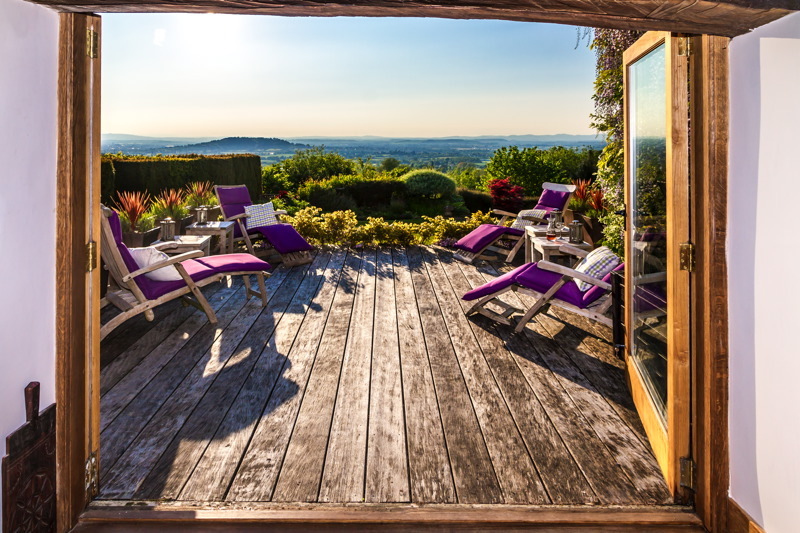 You are welcome to enjoy their 14 acres on an exclusive basis between May – September giving you space to breath in this idyllic Cotswold setting. Dryhill is located mid way between Cheltenham and Cirencester in the heart of the Cotswolds with stunning views for over 40 miles. Cheltenham is ideally located for easy transport access with excellent train and motorway links. 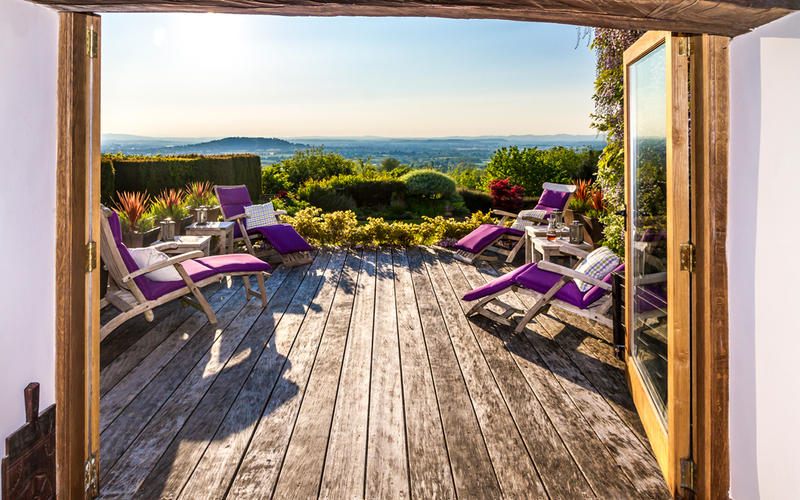 London – 1 1/2 hours, Birmingham Airport- 45 minutes, Bristol Airport – 45 minutes, Gloucestershire Airport – 10 minutes. Helipad available upon request. Their vibe is relaxed and friendly allowing you to have complete freedom and flexibility. 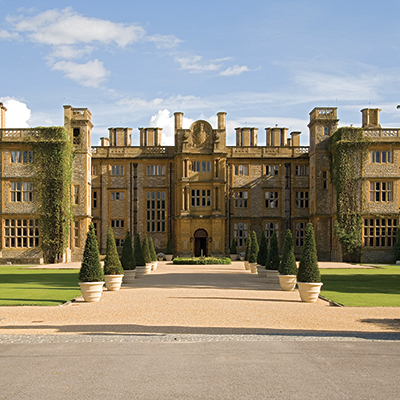 The interiors of this 400 year old property have been described as Contemporary Cotswold in style, offering luxurious accommodation in a stunning location. 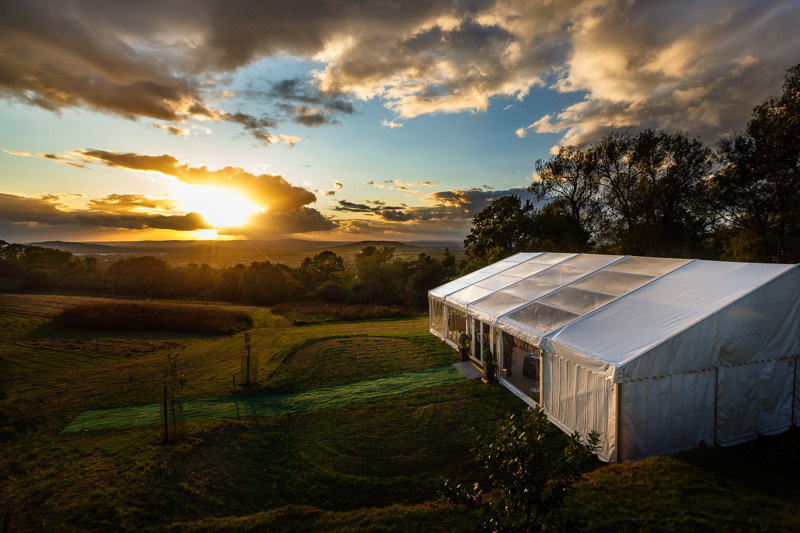 With some of the finest views in the Cotswolds, this marquee venue is only available for weekend weddings giving you exclusivity during all 3 days. 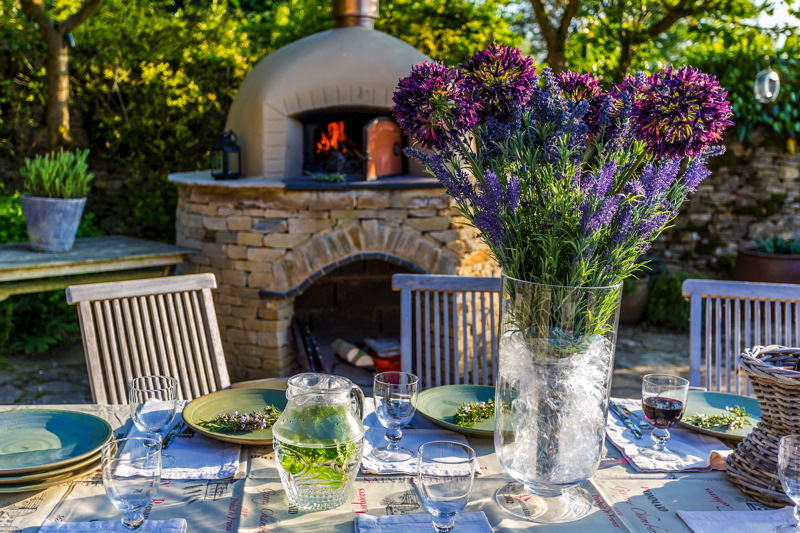 You may wish to arrange a welcome party in their Italian garden, featuring a Tuscan Wood fired oven where they can arrange a Chef to cook delicious Pizza’s for your guests on arrival. 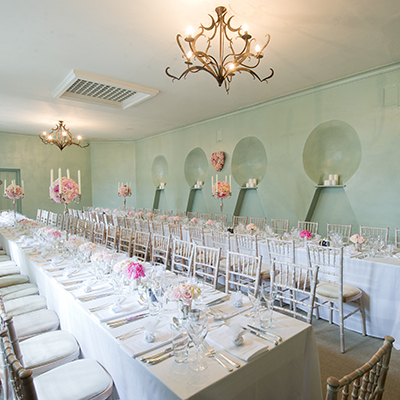 Alternatively, how about a Champagne tasting in their Moroccan Bar or a formal dinner in their converted stables. 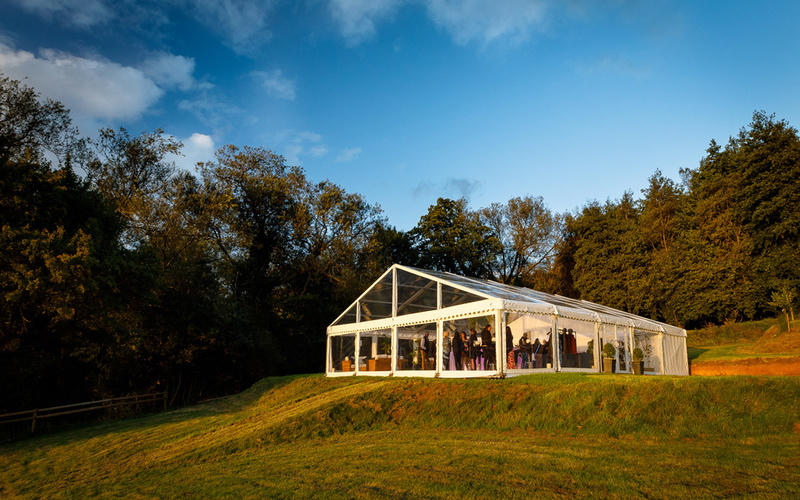 For the main event, their marquee site is perfectly flat and level and overlooks a natural wild flower meadow with meandering paths to a secluded fresh water lake. 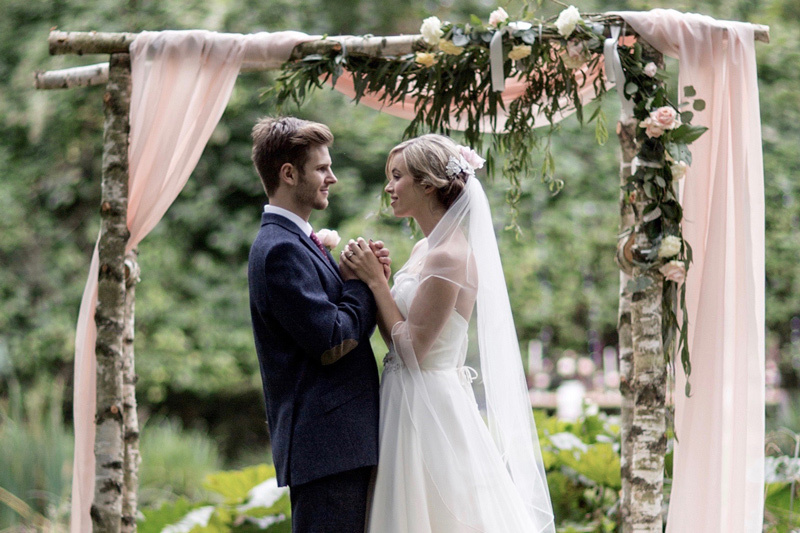 Their dedicated Event Manager is on hand to help you achieve a remarkable wedding celebration. The venue is gorgeous and the view is simply breath-taking. You and your team worked so hard at making everything perfect - even the sun came out for us! Wow! What an amazing weekend event in these beautiful, idyllic surroundings. Dryhill is just the most perfect place to have enjoyed our celebration. No words can describe how special our time has been. Thank you for hosting our visit to Dryhill over the weekend, I was blown away by the site, the view, and especially the house and cottage which are unique and a great asset to the wider site as a wedding venue.